Pardon me for blatantly saying that the Referendum conducted in UK is a disgrace to African continent and AU, I don’t want to massage words, I simply want to let it out the way I feel. My anger is spontaneous, the unwarranted death of children and Africans in the hands of various leaders. 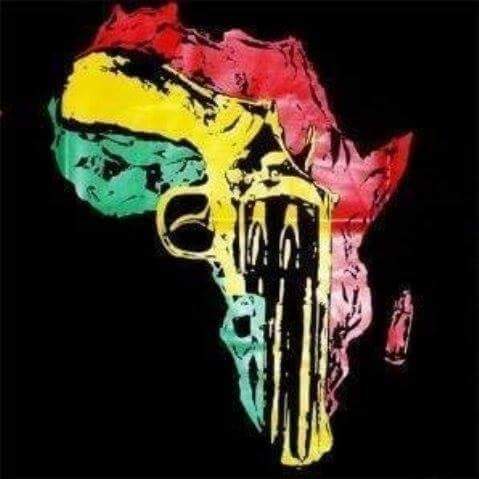 I have come to the point that hence in Africa, guns are still talking; it is a huge disgrace to the continent and African leaders as a whole. Why should I even call them leaders? African political heads instead. I was not aware of any agitation in Europe, I was not aware UK is agitating to leave EU just as Nnamdi Kanu is agitating to leave Nigeria. I only heard of referendum and when I asked my London friend, he told me “We are not Africa, self determination has a way of settlement and we just did that” he was casual like referendum is nothing unique, I paused and asked myself ‘this same referendum thousands of Biafrans have died for?’ I could not help it but turned off my internet throughout the day, asking why God brought me in this part of the world. It is important to understand that what internationalized Biafra restoration project is the continued killing of Biafrans and illegal arrest and continued detention of Nnamdi Kanu. And why UK leave project was not internationalized was because Boris Johnson’s followers were not killed and Boris not arrested. That could simply be defined as civilization, agitators from both sides sat down and debated and convinced followers, reason played a key role instead of gun talking like it is talking in Nigeria of Africa. I read an article by one man that could as well be described as epitome of black brain, which is the kind of man you read and wonder what education has really done to us. ThisDaylive is not used to thoughtless writers but this one is tremendously thoughtless. Stating reasons he supports one Nigeria, he cited church worship songs in different languages, musicians and all lots of trivial things. You begin to wonder if such man knows this contraption called Nigeria. What about Boko Haram as a reaction of unhealthy unity? What about tribal killing as a product of unhealthy unity? What about political marginalization as a product of unhealthy unity? What about corruption as a product of unhealthy unity? What about death here and there as a product of unhealthy unity? When such men write from the comfort of their bed, I feel like drying their ink. I would not want to digress much, but this could as well be the thought of AU and others. For how long shall the led be slaves of leaders in Africa? For how long shall African children die for lawfully asking what is right? For how long shall AU, ECOWAS and other bodies keep quiet while her children die? For how long shall we continue to be under-developed and civilized? For how long shall we continue to kill people that share a different view? For how long shall African leaders rebuke those killing children of Africa? For how long shall EU and UN solve problems for us? For how long shall power continue to be a tool for controlling and conforming African children? When shall we learn that power is for giving the people what they want and deserve? Self determination is a sacred right that must be respected by all. They have hidden behind sovereignty and have waxed their evil heart, founding the joy of evil on sovereignty of a nation. They have told us that they have no right to tell a country to stop killing African children. They have told us that every country is entitled to their own policies; they are only promoting evil because they are also evil. Does speaking against evil and killing of African children amount to contravention of any international law? Does directing a leader to do what is right, expected and lawful and implementing it with economic and diplomatic sanctions amount to breaking of any law? We must rid ourselves of continental corruption and wickedness. Britain told you that he supports your status, in other words, her majesty supports killing of African children. Supporting the status of Nigeria means supporting the murder of innocent African children that only wanted to be where they want to be which the definition of being-human is. Britain did not support her status when she allowed referendum instead of kill her children but she supports Nigerian status for her to kill her children. Africa should be ashamed that instead of resolve issues as human beings, guns still settle issues for us. Britain found herself in the same circumstance with Nigeria and took a direction but has all along urged Nigeria never to take same direction. While gun is talking in Nigeria, human beings are talking in Britain; this should be a moment for Africa and Nigeria in particular to reflect. There can be unity in difference and where argument or reason is defeated; the superior reason should be allowed to sprout. I know power can corrupt and blind but this blindness doesn’t come at once to all powerful men, it comes to one or two and leave others. The men that shall be guilty of the consequences of the blindness are other powerful men that refused to act, either to defend the people against blind leaders or give the blind leaders direction. In that context, it is right to hold AU and the entire continent responsible for what is going on in Nigeria. If Cameron would not be opposed by Europe and leaders in the continent, he would have killed leave campaigners than resign for their sake. It is time to wake up and conduct referendum on Biafra as Biafrans must not continue to die despite what died in 1967. AU and African continent must understand that she has lost her children and must stop being a wayward mother. There is a way to solving problems than killing children of Africa and that way must be followed. In Biafra, Africa lost over five million of her children; even the likes of Emegwali and Chike Obi were murdered. Today Africa is losing her children on same issue and same people; she should shake off this shame like a gallant mother by addressing the issue in Biafra. Authored by Ifeanyi Chijioke. Great Biafra Journalists.